There’s a new sort of adoption gaining ground. And it warrants some close scrutiny. I’ve written recently about In Vitro Fertilization (IVF), and why adoption might be a better option for couples to consider. I was discussing typical options like adopting infants domestically or internationally, or adopting children through foster care. However, across America, there are an estimated 620,000 frozen embryos in storage. 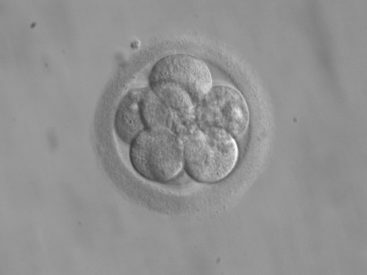 Many of these fertilized human eggs are being stored on behalf of families who may want more children later, or who are waiting to see if initial rounds of IVF are successful. Granted, many people question if it is ethical to create human life without fully intending to implant each fertilized egg. But as long as there is IVF, there will be couples that decide their families are complete before all of their frozen embryos have been implanted. What then? Two of the options offered to the biological parents are destroying the eggs or donating them for research, but these are unacceptable to many people. Enter embryo adoption, the option of donating the embryos to couples that are unable to conceive naturally or through their own IVF processes. Those embryos are implanted in the adoptive mother’s womb, and the resulting children are born to the adoptive parents. Couples who want the experience of pregnancy and childbirth and who want to raise a child from infancy often find this option appealing. However, the medical side of this isn’t simple and can be tough on the adoptive mother’s body. There are numerous rounds of hormones to prepare the body for pregnancy. There are injections, frequent doctor visits, and drugs. Nationally, about 50 percent of such procedures result in a pregnancy, and only about 40 percent of those pregnancies result in live births. But for those that do, embryo adoption gives these children a chance at life. It gives infertile couples a chance for pregnancy and childbirth. And it gives the genetic parents the ability to place their embryos in stable, loving homes. While the medical process is difficult and complicated, the legal one is not. Legally, embryo adoption isn’t actually adoption at all. It’s a transfer of property in the eyes of the law, and as such, falls under basic contract law. There are any number of agencies that facilitate embryo adoptions, and they handle the legal paperwork. But once the contracts are signed, the embryos belong to the adoptive couple. Their names will appear on the baby’s birth certificate. As long as there is IVF, the dilemma of what to do with extra embryos will weigh heavily on the minds of many couples. Keeping them frozen indefinitely is expensive, an unsatisfying long-term solution, and just plain wrong. Donating the embryos to another family may seem like the best solution. Another positive is that it gives infertile couples another option. Many couples want the experience of pregnancy and childbirth. They want that connection with their child from the very beginning. Embryo adoption offers that in a way that simply did not exist until recently. Finally, and most significantly, embryo adoption gives hope to babies. Because I believe that life begins at conception, I believe that we’re talking about thousands of children whose lives have been suspended in their very first days. The only option for those children, that doesn’t seem cruel and morally and ethically problematic, is to give them every opportunity to live. Embryo adoption gives those children a chance at life.